Let me brag on God for just a minute. 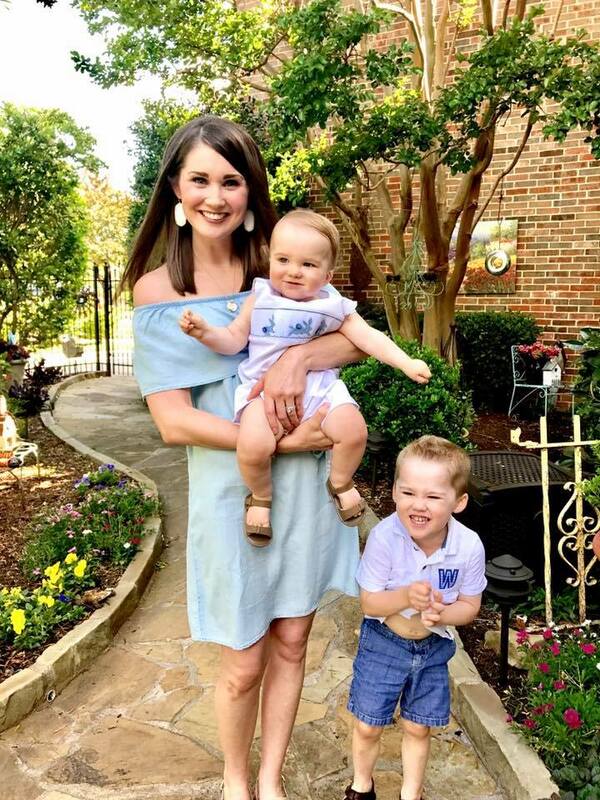 As our BSF teacher said Wednesday, "We are so quick to thank God for the big things He does in our life (health, a new baby, a new job, etc.) but how quick are we to thank Him for the little, every day things?" Funny how God smacked me right in the face with that yesterday. Brandon is traveling this week (all things always happen when he's gone!). When he's gone, I lay the boys' clothes out for the week on their dressers and really have no reason to go in their closets. Our hot water heaters are in a closet inside Walker's upstairs bedroom closet. Yesterday morning, the boys woke up early and asked to play LEGOs in Walker's room. Normally I would tell them to go back to bed, but I told them they could play. When it was time to get ready for school, I asked them to pick up the LEGOs. Also on the floor amongst the LEGOs was one of Walker's dress-up clothes, which we store in his closet. Also normally, I would have told Walker to put that away, but for some reason (God) I decided to do it myself. It was then that I heard this hissing noise coming from the hot water heater closet. I unlocked the door to find water pooling all over the pan and leaking from the top of the hot water heater. I called Brandon, he called a plumber and they got a guy out here immediately. (And special shout-out to my father-in-law for coming over to wait on him while I took the boys to school.) He found a leak in one of the old copper pipes at the top of the hot water heater; a (somewhat) inexpensive, quick fix. But here's God. I normally wouldn't have let the boys play LEGOs that early in the morning. I normally would have told Walker to put away his dress-up clothes. We are leaving on a trip soon, and the plumber told us if we wouldn't have caught it, we would have come home to a flooded house. I hate that we're having to pay money for this part, but I'm thankful it's just a part and not our house, and for the Lord's discernment He gave me to let the boys play this morning and for ME to be the one to open that closet, therefore finding this leak. God is good -- all the time. I was so excited when Smile Brilliant reached out to me to try out and review their cariPRO Electric Toothbrush! 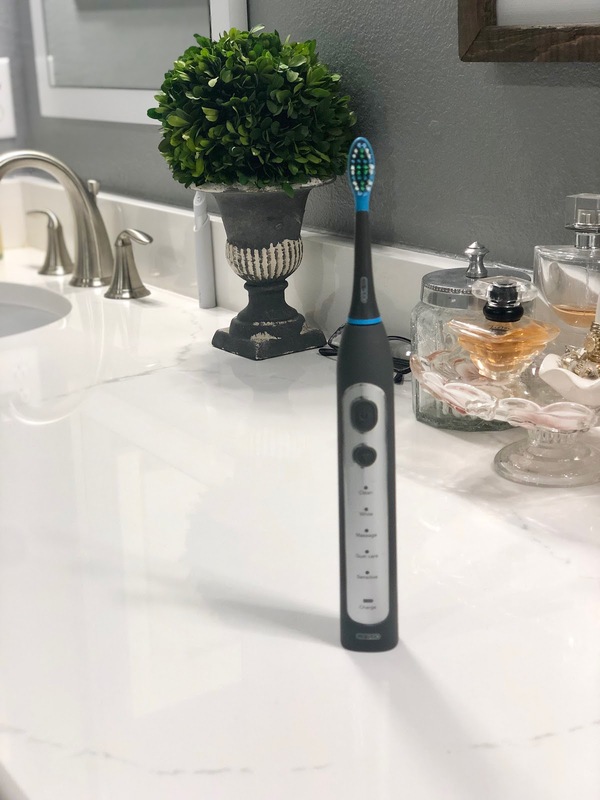 You might remember that I worked with Smile Brilliant in the fall and fell in love with their custom-fitted whitening tray system so much, so when they reached out to me again to try this electric toothbrush, I knew I would likely love it, too. They sent me their Individual Package, which included the cariPRO Ultrasonic toothbrush, two premium replacement heads (with tongue scraper and DuPont bristles) and one wireless charging dock. Anyway, I got this in the mail and immediately started using it! I love that it's a much smaller profile than my old toothbrush and the black is a cleaner look than my white one that was getting really dingy. I also love that it starts charging the toothbrush the second I touch it to the charging dock. But I think the coolest thing is that it has five different brush modes based on your particular need (clean, white, massage, gum care and sensitive) -- and it brushes in 30 second intervals with a little vibration to let you know when it's time to move to another section of your mouth. I don't know about you, but I'm a busy mom who tries to multitask while brushing her teeth and that little reminder has helped me more than I ever thought it would! I've been using all modes, but I particularly like the whitening mode and I really can tell a difference in the color of my teeth using this toothbrush vs. my old one. Would you like to fall in love with Smile Brilliant like I have? It's perfect timing to do so since Valentine's Day is right around the corner and what's not to love about pretty white teeth?! Smile Brilliant is offering one of you a cariPRO Electric Toothbrush set of your very own! 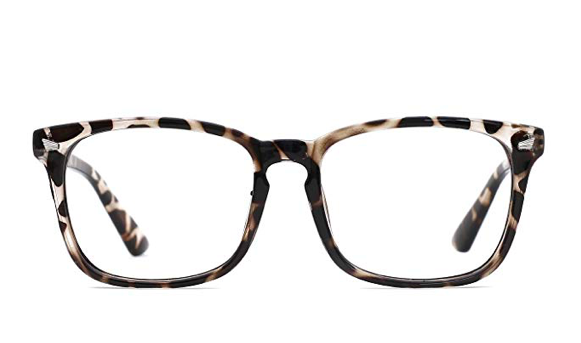 (A $119 value!!!) Just click this link to submit your entry; it's super easy and takes less than one minute. Smile Brilliant will contact you directly if you're the winner! And if you're not the winner, they're still offering a 20% off coupon code exclusively for my followers; just use brittanywhitacretb20 at checkout. :) Good luck! 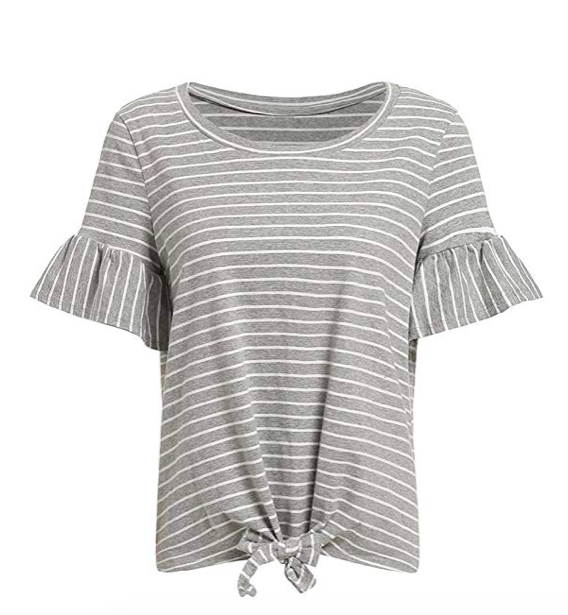 This tie-waist top (and if you remember, I have this top in navy/white -- you can see it on me here!). We had some amazing spring-like weather here this week (that immediately changed when winter decided to return again yesterday, ugh!) that allowed us to be outside so much Monday-Wednesday. We got to go to the park (in shorts!) on Monday and had a little Sonic picnic on the patio for lunch afterwards. And speaking of Sonic, I love going there for Happy Hour (1/2 price drinks, y'all!) and rolled up at 1:58 p.m. the other day and sure did wait in my car for the clock to strike 2 p.m. so I could get my drinks half price. Anyway, someone told me that if you get the Sonic app, drinks are always half price! WHAT!? So you better believe I downloaded that app really quickly! It's the little things. We are slowly doing things to our house (aside from this hot water heater debacle!) and finally settled on a chandelier update for our foyer. I'm so excited about this one and to replace the lovely, super ornate, Tuscan-style one that's currently in our foyer from the previous owners. We have our handyman coming to install it next week; I can't wait to show y'all! 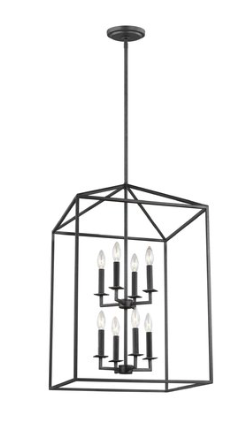 we need a foyer chandelier update as well, but it is like the last thing on our list. So glad you caught that leak. I just ordered that top! It's so so cute! 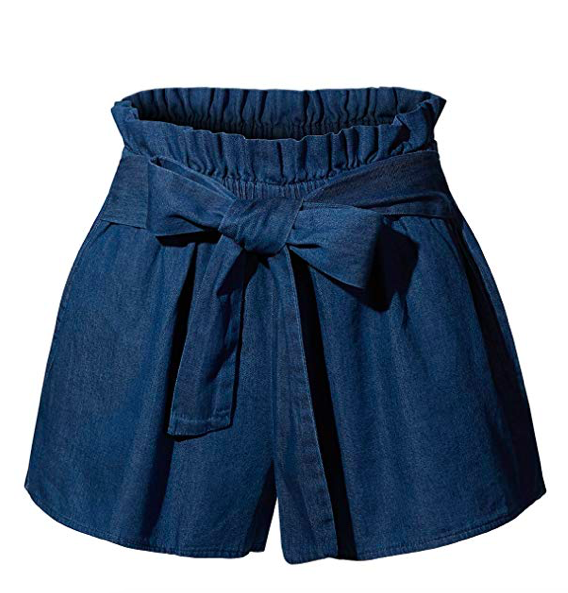 Those shorts are prefect for the summer! Thanks for sharing Have a beautiful weekend. It's so amazing how God orchestrates things, especially the small ones! Such a blessing you found the water heater leak!